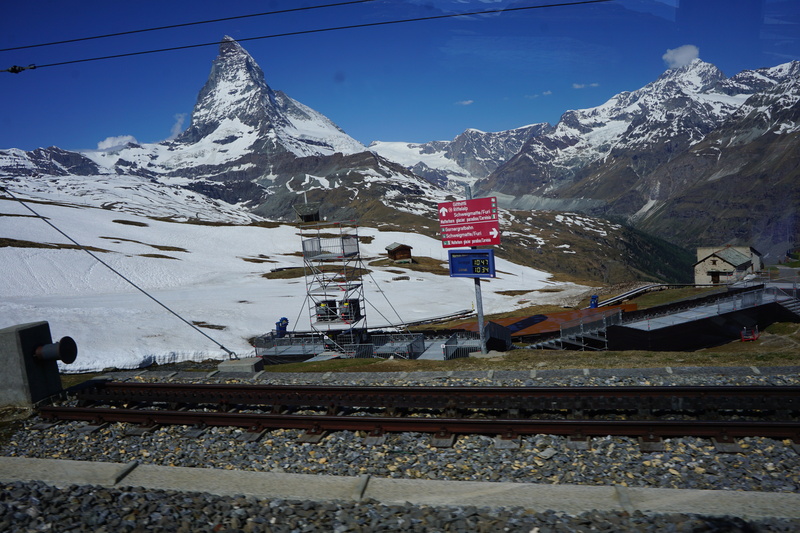 Once I landed in Zurich, I picked up my rental car and drove to Zermatt, a small town in the Swiss Alps. 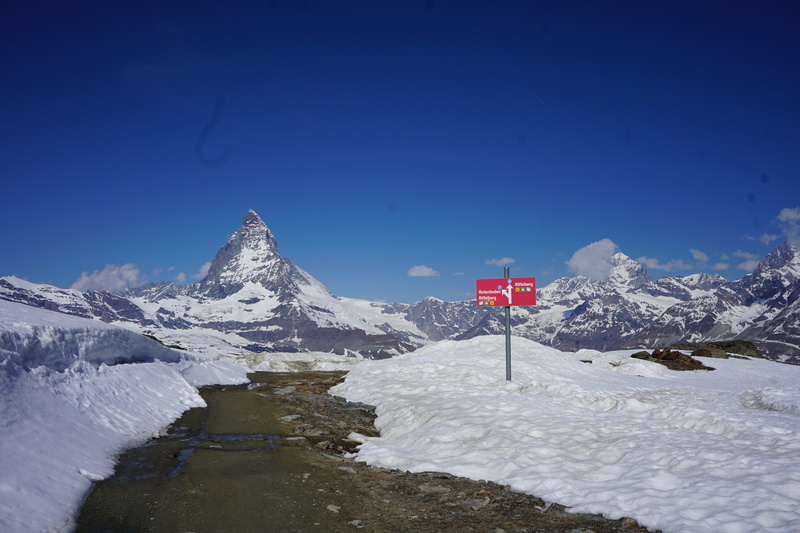 The views along the way were amazing but were nothing compared to those in Zermatt! 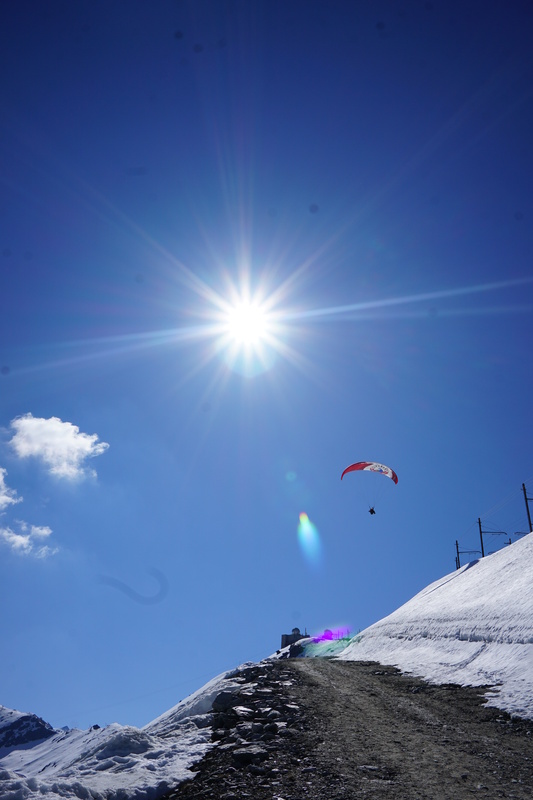 Zermatt is a town saddled deep in the Swiss Alps that is very difficult to get to. You can train from the airport but it’s relatively expensive. You can rent a car (like me) which is cheaper but has its own unique challenges. Zermatt is a car-free town so you have to park in the town next to Zermatt (Tasch, Switzerland) and take the train into Zermatt. But that’s only half of the fun. 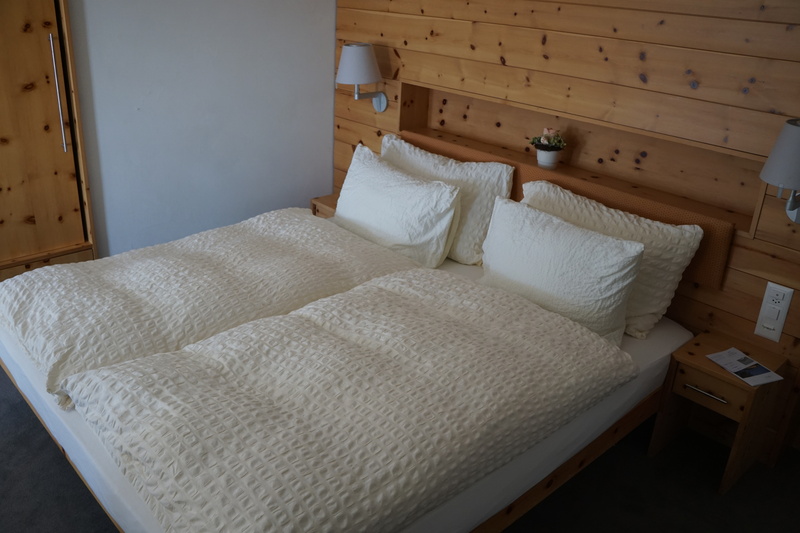 Tasch is also tucked deep in the Alps and can only be reached by mountain passes, which close frequently due to weather, or car-transport train (costs CHF 25 or $25 USD). 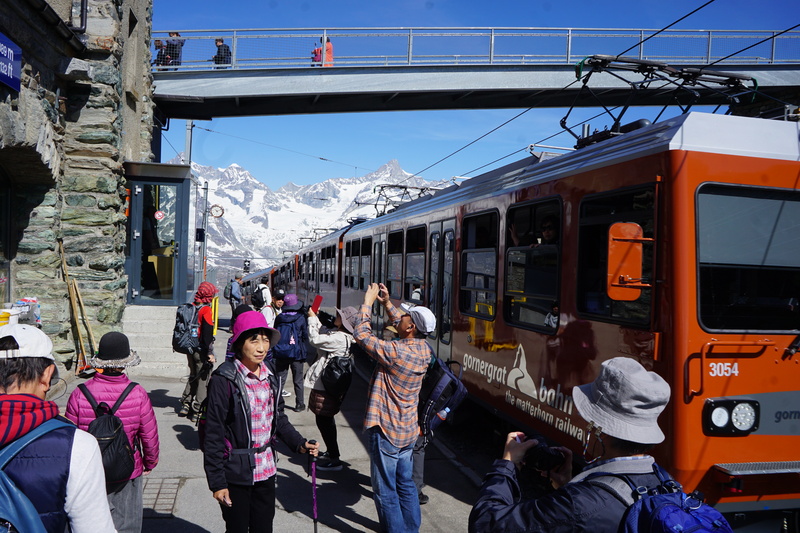 Once I reached Zermatt, I had to take another train to Gornergrat which is located at the top of a mountain overlooking the Zermatt valley. It was a long day but the views were worth it. 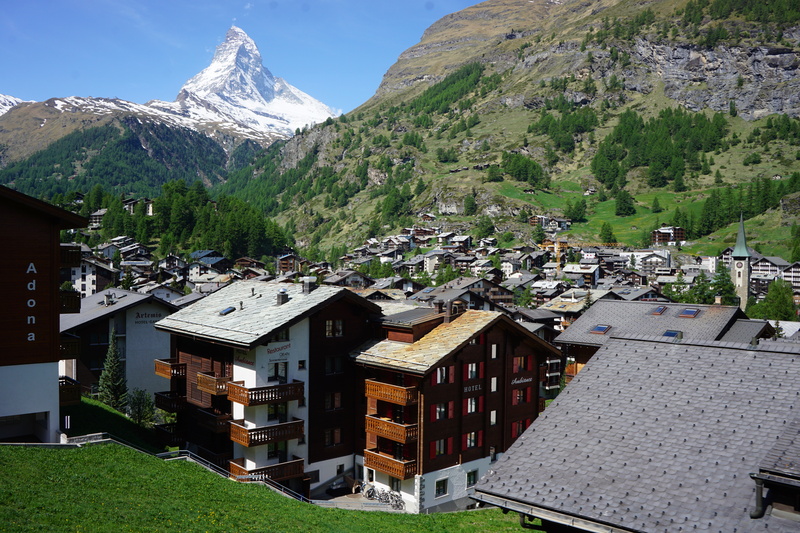 Zermatt is an adorable town that is filled with European tourists (I was in Europe after all). With the snow-capped Matterhorn overlooking the town, the town itself contained many wood-paneled ski lodges. 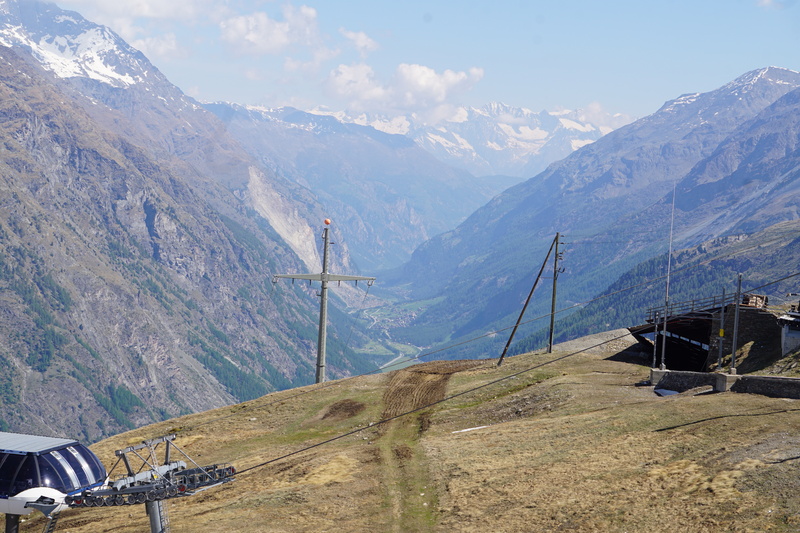 While mainly a ski town in the winter, Zermatt has excellent hiking trails in the summer. Hotel prices also appear lower in the summer. The streets are car free and are mainly occupied by pedestrians, bikers, and golf carts. 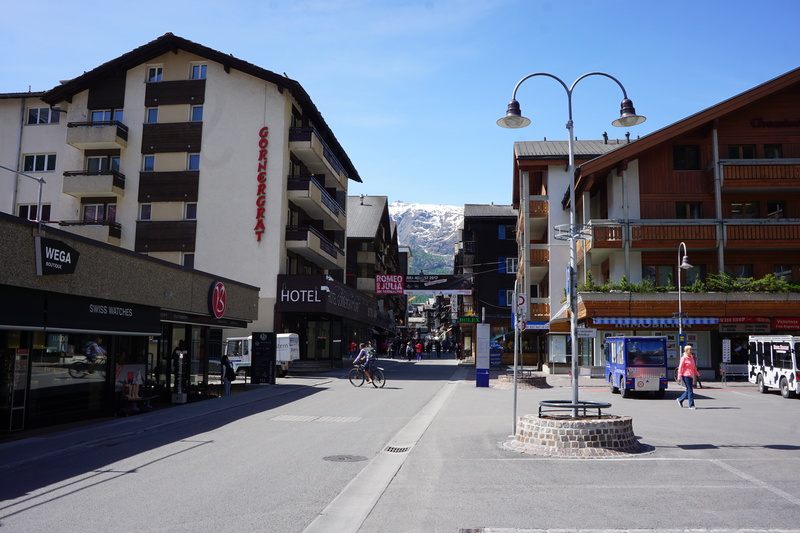 Since the town is very touristy, it contains many stores, Swiss chocolate shops, and restaurants. I didn’t spend much time in the town itself because I wanted to spend my time in the mountains. This sign was pretty cool. I’m not sure how the times were calculated (walking times?) because my trip to Gornergrat lasted under one hour. 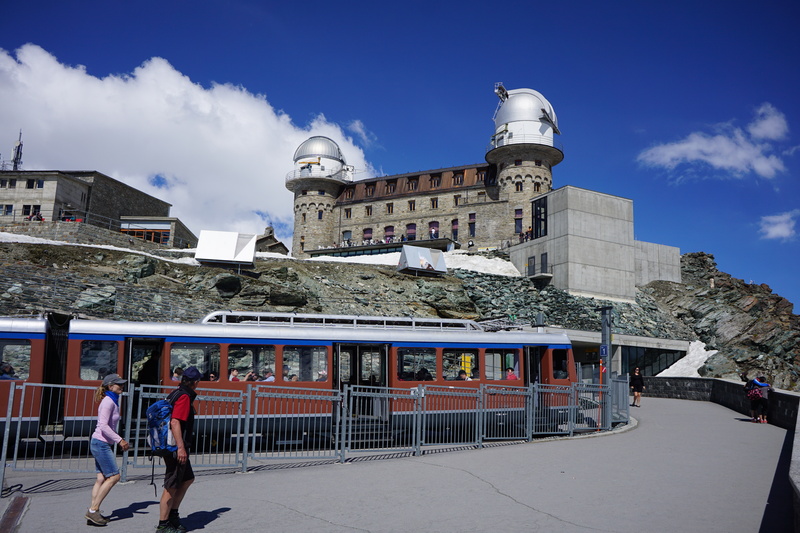 Gornergrat was located at the top of a mountain so I had to take a famous Swiss cog train to the top of the mountain. From what I can tell, a cog train looks like an electric-powered train that uses some sort of a third rail (with teeth) to pull its way to the top of the steep mountain. As shown above, the view from the train was incredible. The train can get quite full depending on when the tour groups arrive or depart. 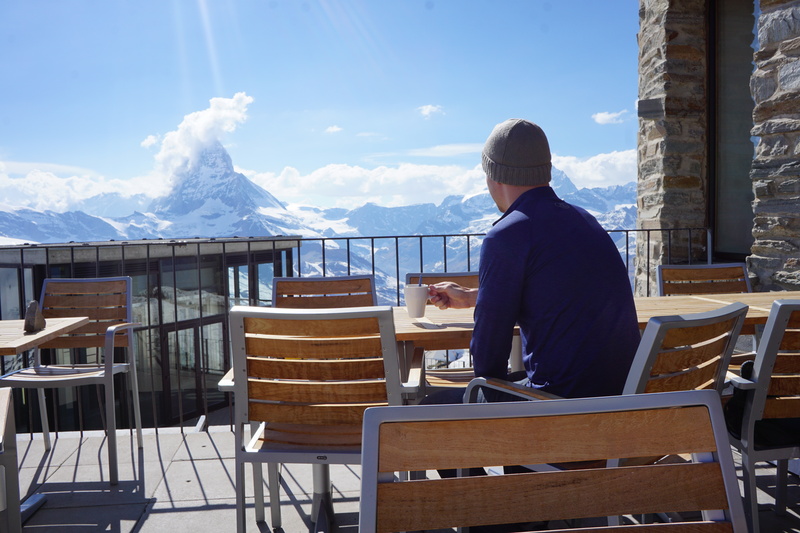 You’ll want a seat closest to the sidewalk to catch the best views of Zermatt and Matterhorn. The views of Matterhorn are excellent . 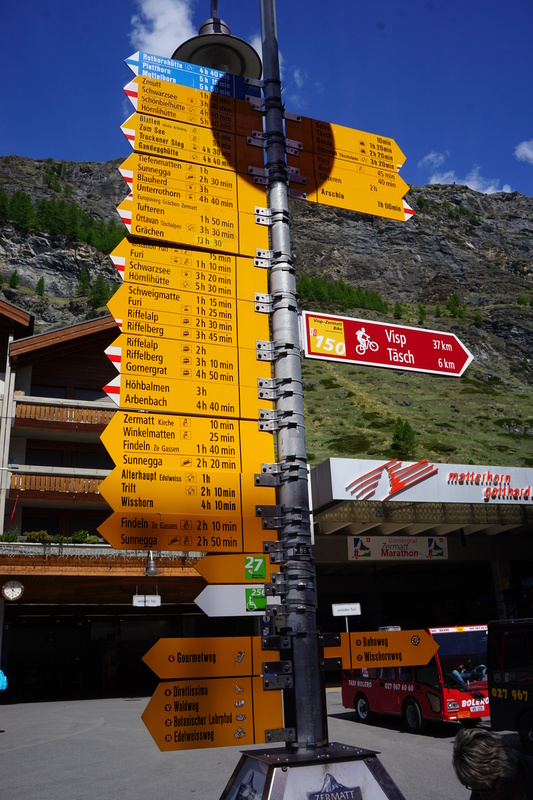 You can also stop off at two restaurants/ cafes on en route to Gornergrat. I later hiked down from Gornergrat to one of the stops. And now for the main attraction. 3100 Kulmhotel is a hotel that has dual rooftop telescopes. They did not pull out the telescopes while I was there but they certainly looked cool. There was some sort of issue with the room reservations so I ended up in the Matterhorn Suite, the biggest room in the hotel. 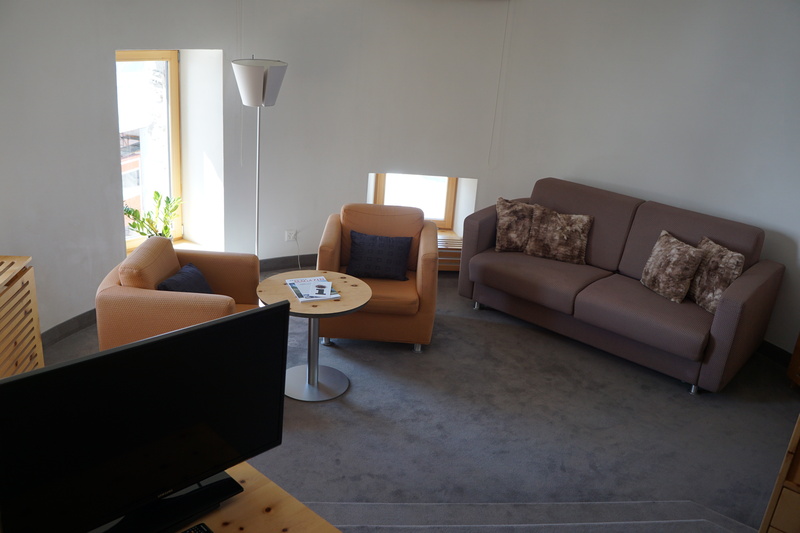 The retail price for this room would have been $349+ (CHF and USD) including taxes and fees. The bed was comfortable and had electrical plugs on each side. The room was large but the space was poorly utilized. In addition, people could easily look in my room from outside of the building. You can avoid making eye contact by not changing clothes in this area, but it was certainly surprising at first to see so many people outside of my window. 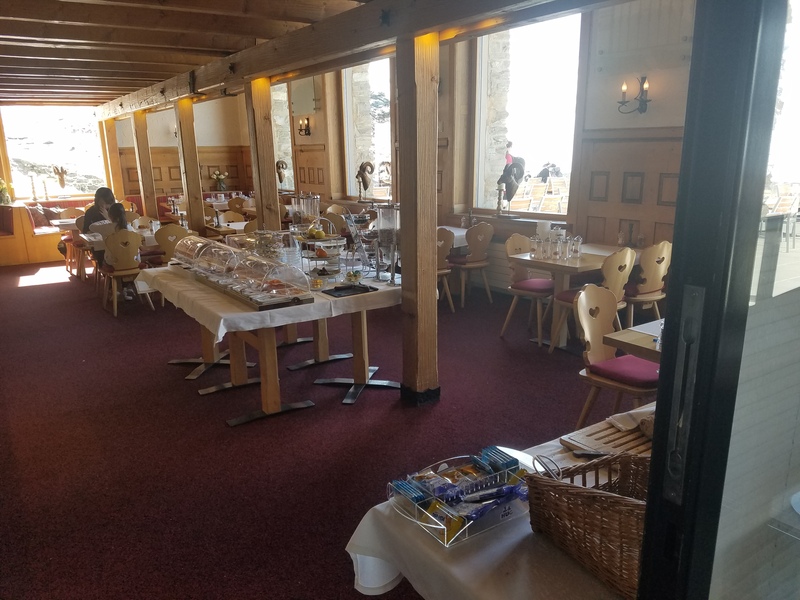 On one side of the Kulmhotel is the Monte Rosa Glacier which is easily seen from both the observation deck and cafeteria. The cafe has two seating areas, both of which can see Matterhorn. 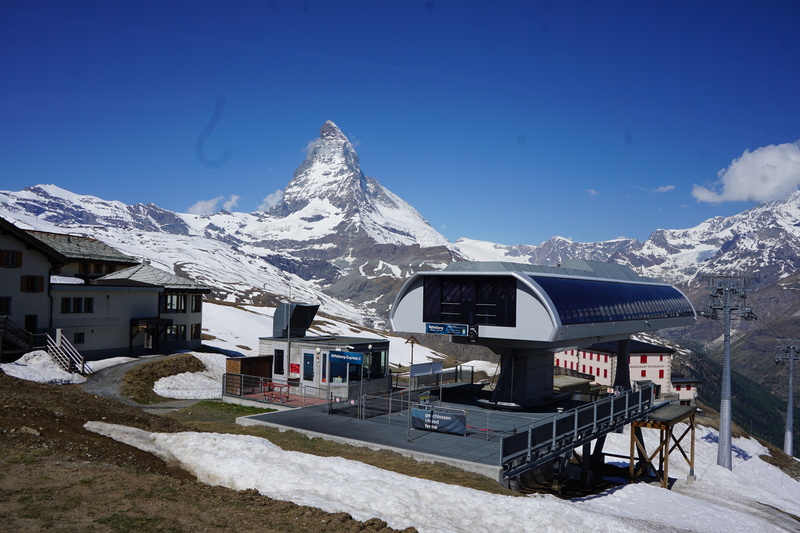 If you haven’t guessed, Matterhorn is the main attraction in both Zermatt and Gornergrat. 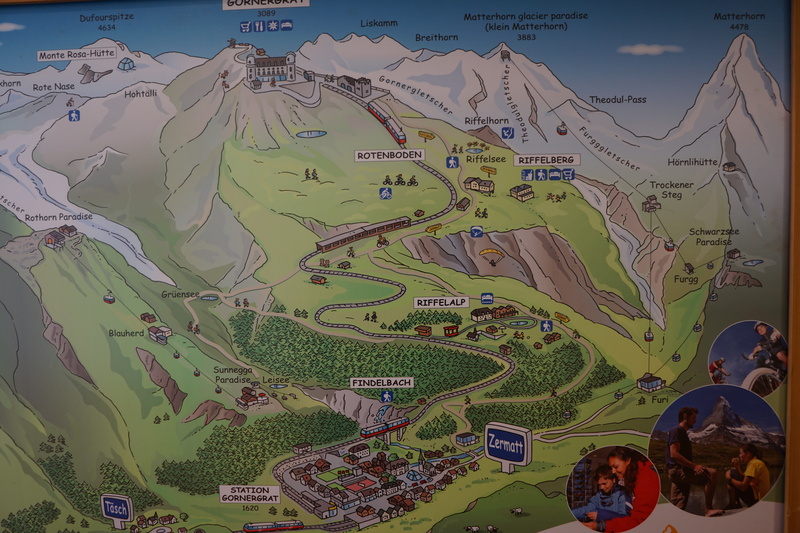 The observation deck provided excellent views of both the Kulmhotel and Matterhorn. The hotel provided dinner and breakfast (included in the price) which were both excellent. You had to pay extra for alcohol and lunch. 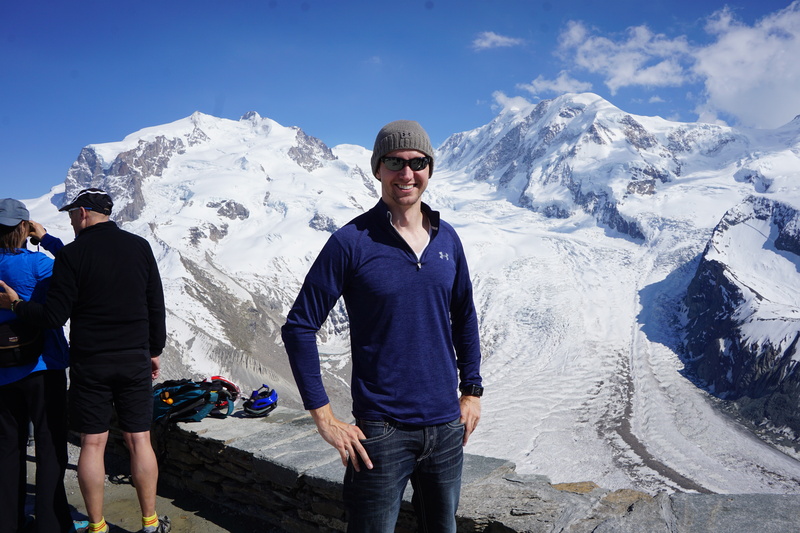 Given that I was spending time in the Swiss Alps in the summer, I wanted to go on several hikes. Needless to say, I underestimated the difficulty of hiking at 11,000 feet above sea level. Despite being in excellent physical shape and carrying only a small backpack, I struggled. Ultimately I completed a several mile hike and finished off the afternoon by reading a book on the observation deck. When I started the hike, I heard people talking behind me and they were quickly approaching. I saw them when I looked up. The path was decently clear considering the mountains were still covered with snow. 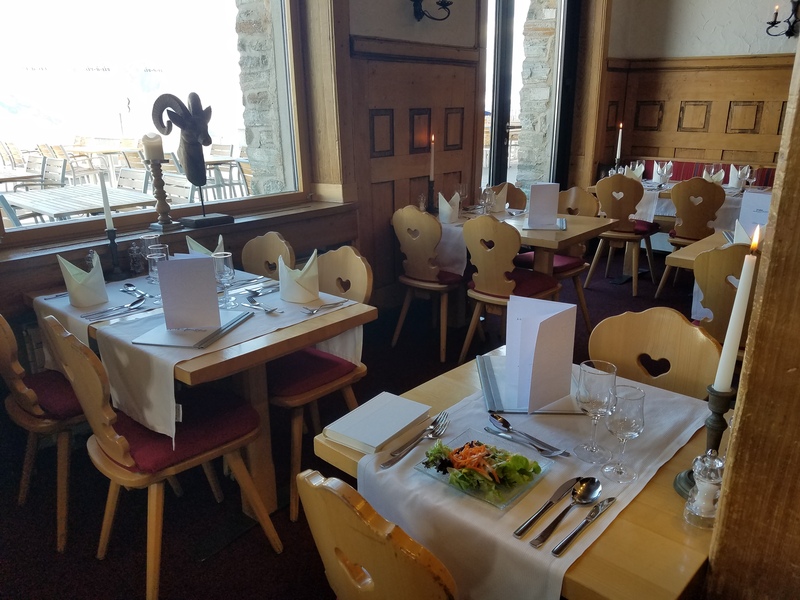 The destination of my trip was a restaurant/ cafe located at Riffelberg. I was bummed to discover that the cafe was closed. The hike routed me fairly close to an awesome looking ski lift. I could see Zermatt in the distance. Upon reaching the ski lift, I turned around to hike back. I stopped every 100 feet or so to catch my breath. 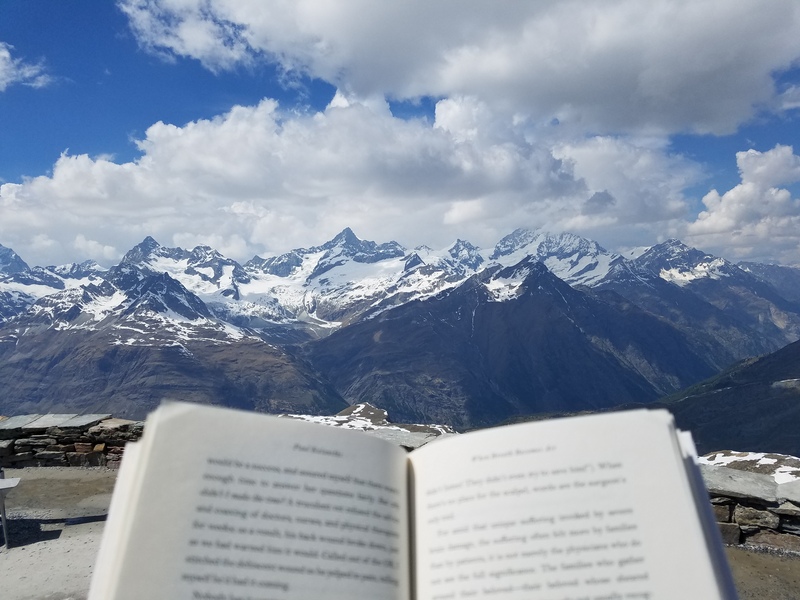 I was exhausted when I returned to the Gornergrat and spent the rest of the afternoon reading–no more hiking for me. It was a tough hike and the views during the hike weren’t any better than those at Gornergrat. If you’re going to hike, I recommend starting at Zermatt so you end the hike with a descent. 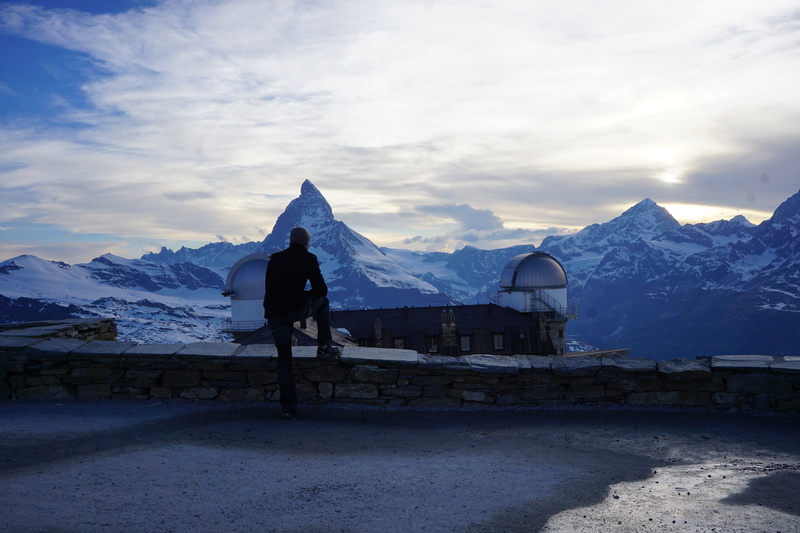 Gornergrat and Zermatt are easily some of the most-beautiful places on earth and I would not hesitate to return. 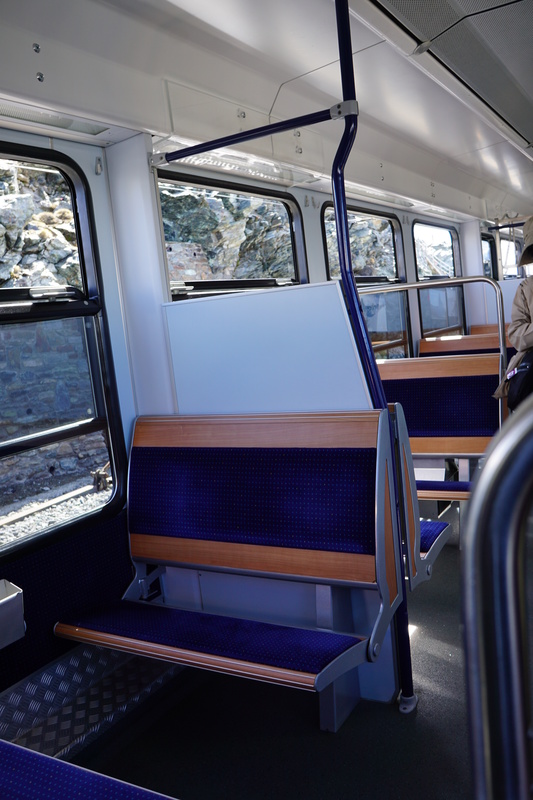 I will take the train when I return because driving a car was relatively stressful given the logistical difficulties of reaching Zermatt. 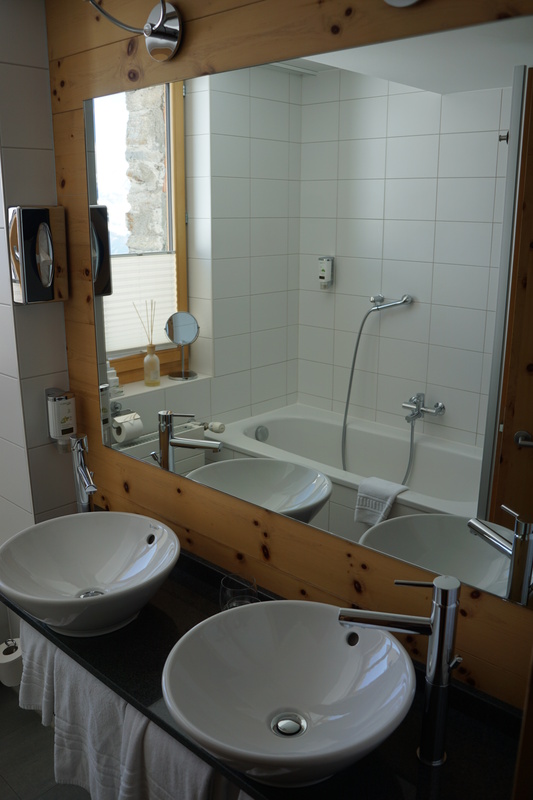 Be the first to comment on "3100 Kulmhotel Gornergrat and Zermatt, Switzerland (Review)"